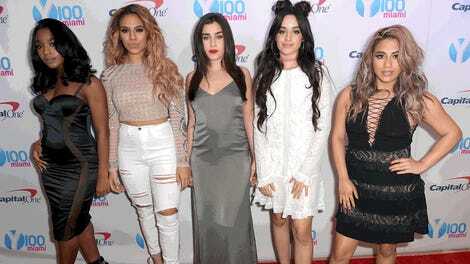 Is Fifth Harmony's Normani Kordei Attempting to Pull a Beyoncé? 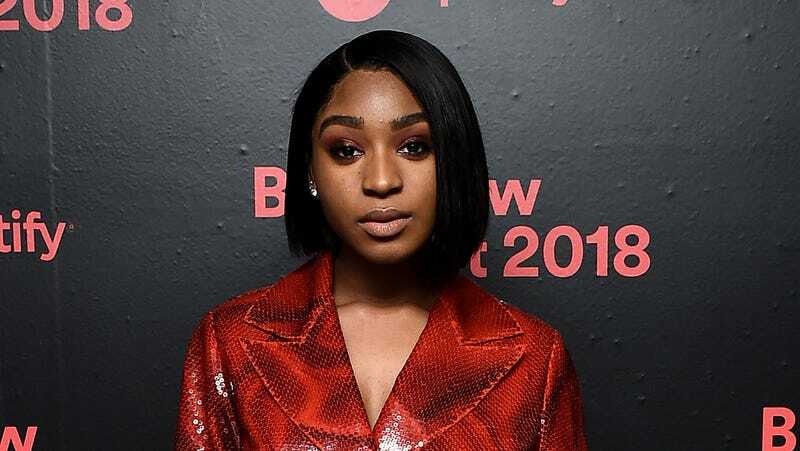 Normani Kordei of Fifth Harmony and Lip Sync Battle fame hit a huge milestone for the girl group this week (a four-piece ever since Camila Cabello left 5H at the end of 2016)—but she may have just opened an even bigger door for herself. Kordei’s debut solo single, “Love Lies,” a duet with R&B rising star Khalid, just hit the Billboard Hot 100 at No. 43, making Fifth Harmony the first girl group with three members who’ve registered on the chart since Destiny’s Child in the early ‘00s. Does this mean Kordei is trying to go the route of Beyoncé? Fifth Harmony (I would assume) set out to break records collectively, rather than as individual actors, which is why “Love Lies” leaping onto the charts rings as more of an accomplishment for Normani than for the group as a whole. Sure, comparing the girls—who are all between 20 and 24 years old—to Destiny’s Child sounds flattering at first, but it also invites comparisons to specific members: Implicit in framing Kordei as the group’s Beyoncé, of course, is not just the idea that she will leave—Camila already did that—but that her solo career will outshine every other woman she’s built a career with. If she is trying to make that move, she’s been planting the seeds for the Normani-Beyoncé comparison to flourish in the minds of audiences for a minute now. In late January, Normani was photographed and “spotted chatting” with Bey at husband Jay-Z’s Roc Nation brunch before the 2018 Grammy Awards. Shortly afterward, Normani performed the Destiny Child hit “Bootylicious” on Lip Sync Battle, telling the host how she and her grandma used to twerk together whenever the song came on. Whether intentional, nudged by the hand of ambitious publicists or not (or somewhere in between), these little press moments will certainly help Normani’s jump, if she chooses to leave, from team player to viable solo artist—-and cement the idea that she could be even bigger than Camila, whose solo album debuted at No. 1 in January. Nothing’s guaranteed, no matter how much micromanaging her team does, but it certainly doesn’t hurt.